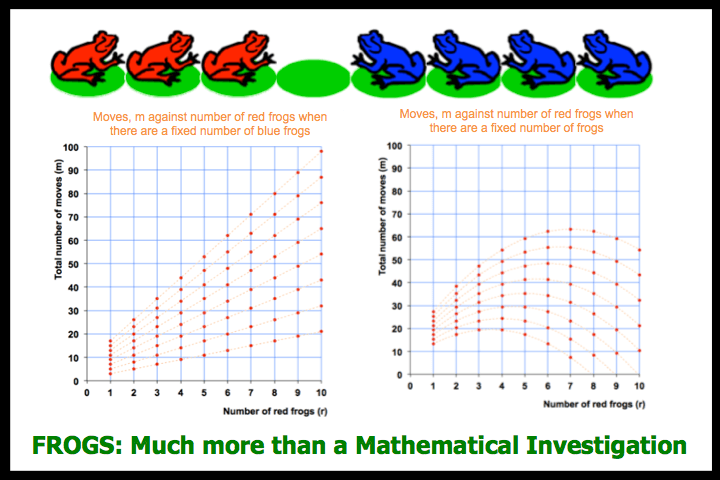 Frogs�- a pdf file that gives background, how to solve the frogs problem, how to link it to solving quadratics, graph and formula work, where to find a proof�as well as hints to the proof. Frogs�- ActivInspire IWB file for pdf file above. Two Frogs Virtual Manipulatives are given below (a main lesson and review�following from it): they will not work on iPhones or iPads since they are flash files. If you use Chrome as your browser then these interactive files might not work (you are instead asked if you want to Keep or Discard the files), then�Discard and go to the link here�and follow the instructions to enable the relevant plugin. Mac and Windows instructions are both there: scroll down. You only have to do this once.�You will need relevant permission to do this on the computer. Go to original for more including a spreadsheet version, a video and paper solution for the 3 v 4 problem and much more. �For more similar KS2/3 maths problems with interactives go here. �For algebra starters go here. Flipchart for Supporting Subject Knowledge Enhancement for TSST colleagues. Research Report available (including summaries etc). Activities and ideas available�from Nuffield website. 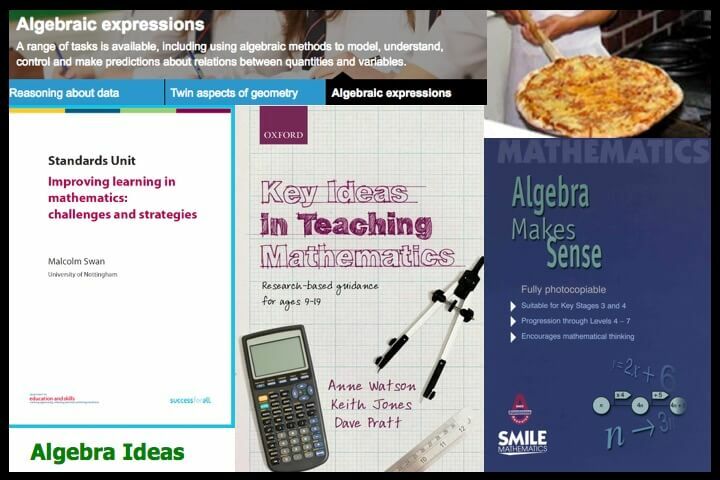 Book Key Ideas in Teaching Mathematics available from itunes. Or click links below for 'real' book. 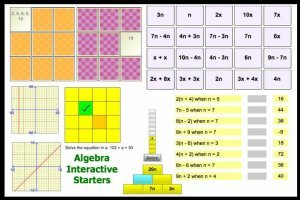 Improving Learning in Mathematics Materials�(see A4 and A9 resources here).